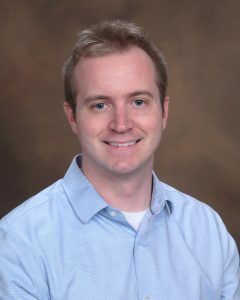 Zachary Simms is a Master’s level clinician and a Licensed Clinical Professional Counselor with experience working with a variety of clinical issues, including but not limited to, ADHD, Bipolar Disorder, Depression, Anxiety, PTSD and trauma, abuse and neglect, and Borderline Personality Disorder. Zachary’s experience includes, working with children, teens, adults, couples and families, to help improve coping skills, learn stress management techniques and take control of the issues that brought them into treatment. Zachary’s insight-oriented, practical approach to working with clients has helped motivate even the most ambivalent and treatment-resistant clients to achieve better clinical outcomes and an improved quality of life! He believes that understanding the needs of his clients are key in creating a thoughtful, personalized approach to help them transition from where they are, to where they want to be. Zachary began his career assisting homeless veterans experiencing Post-Traumatic Stress Disorder find employment and housing. During this time he worked with his clients on processing and recovering from traumatic events. Zachary also worked for the Department of Child and Family Services (DCFS) assisting children, teens, adults, couples and families, recover from abuse, neglect and trauma. Zachary has also worked with children and their families, diagnosed with ADHD and Autism Spectrum Disorder, and has co-lead boys groups to improve social skills and emotional regulation. Zachary, as a practicing Christian, can also provide Christian counseling for those clients who are interested in an approach that incorporates the teachings of the bible into a more traditional counseling framework. Zachary has experience in working with a wide range of therapies, including Cognitive Behavioral Therapy, Dialectical Behavior Therapy, Acceptance and Commitment Therapy, and Play Therapy. 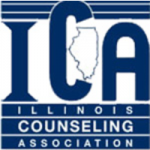 Zachary holds a Masters’ Degree in Mental Health and Rehabilitation from Illinois Institute of Technology, with an emphasis on wellness and rehabilitation. In addition, he has a Bachelor of Arts from Roosevelt University in psychology and philosophy. Zachary is involved in spiritual activities throughout the week and volunteers on the weekend. He likes to read, socialize and travel internationally!